Do you have back pain or sciatic pain? You’re not alone! According to the World Health Organization, low back pain is so prevalent that up to 70% of us experience it at least once in our lifetime. For many of us, this pain becomes a chronic issue. At Rehab Dynamics our back pain patients are getting well! Rehab Dynamics is in the top 24% in the Nation of getting our back pain patients better. We not only get our patients better faster, but their pain is less, and their function has improved. If you’re one of the millions of Americans struggling with signs and symptoms of sciatica or low back pain, we encourage you to set up an initial physical therapy appointment so we can get to the bottom of your dysfunction. What’s compressing the sciatic nerve in the first place? Often it’s an injured spinal disc. 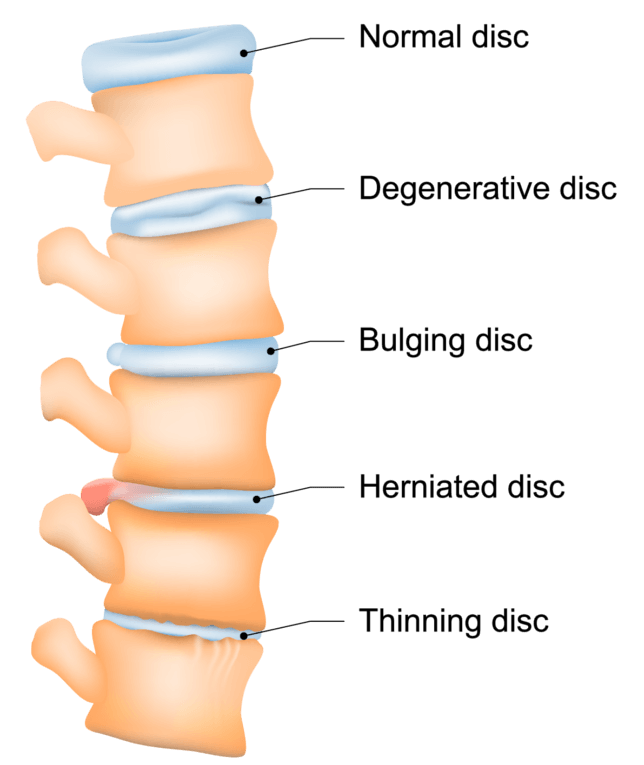 When a disc ruptures and leaks (herniates) or protrudes out of place (bulges), it can press on the nearby nerve. This may happen due to wear and tear, acute trauma, or chronic repetitive stress on the disc. The sciatic nerve runs through the piriformis muscle, so often times if the piriformis is tight or restricted, you may also get the typical sciatic symptoms. Are you experiencing back pain or symptoms related to sciatica? In Louisiana, patients are allowed direct access to physical therapists, meaning they don’t need a referral from their primary care physician. We encourage you to talk to us or your doctor about getting started with a physical therapy program. Contact Us Today at Covington & Mandeville, LA Centers to learn more and get back to the healthy pain-free life you deserve.